Purpose: Use this document as a reference for changing between terms and colleges in ctcLink. Click the Change Term button. 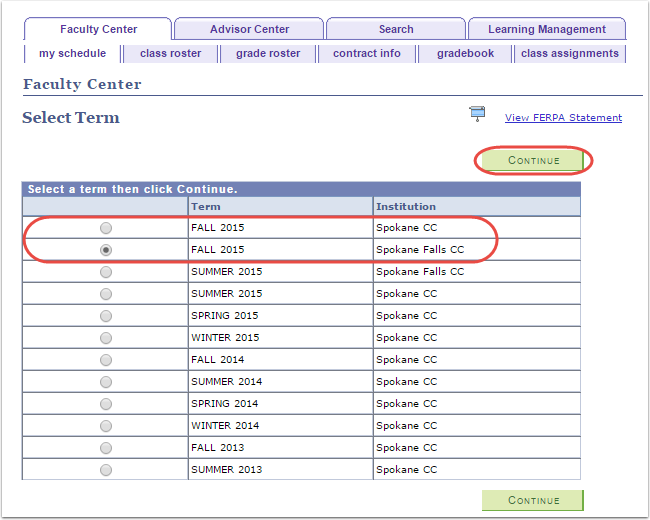 A list of terms and colleges will display based on teaching assignment. Select the term for the Institution you wish to display. This will populate the data on all tabs based on the term and college selected.